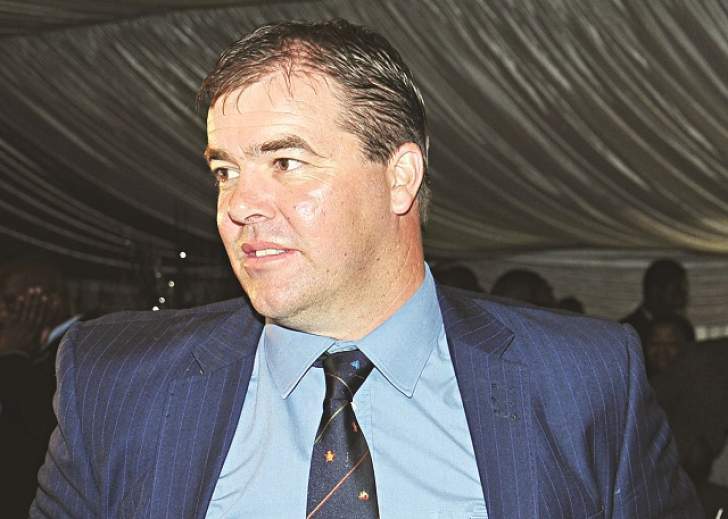 FORMER Zimbabwe senior national cricket team coach Heath Streak has rejected payment in the form of a transfer by Zimbabwe Cricket made to him at the beginning of this month, instead demanding through his lawyers that the amount owed to him should be paid into an account outside the country. In a letter written on 7 October by lawyers representing Streak in his long standing battle with ZC, the former Zimbabwe skipper rejected an amount of $117 378.77 paid to him by the cricket mother body. "Please be advised that we have no instructions to accept full payment amount of $117 378.77 deposited into our Trust account on the 4th of October 2018. Our instructions are to accept the sums of US$39 123.09 for Mr Heath Streak which you indicated in your letter dated 25 September 2018. The balance will be paid back to yourself less the applicable bank charges,'' wrote Streak's lawyers to ZC's legal representatives. From the communication from his lawyers, the basis for the refusal to accept the money is that Streak will only accept the payment if it is made by the International Cricket Council. "The outstanding balance is only acceptable if paid directly to our clients from the International Cricket Council (ICC) in the same form and manner that ICC has been paying your client's other creditors as advised in our response to yours dated 25th September 2018,'' concludes the letter from Streak's lawyers. It has been established that Streak, while he was national team coach was getting his salary into his local bank account and the reason why ZC paid what they owe him to his lawyers was because they "do not want to fall foul of the country's exchange control laws." ZC officials claim Streak wants to be paid in foreign currency. What ZC owe Streak is the basis on which he filed a High Court application to have the cricket mother body liquidated which was lodged last month. ZC lawyers, Mhishi Nkomo Legal Practice are opposing Streak's application on the basis that the cricket mother body is not bankrupt and is more than able of settling its debts. "The 1st Respondent is not insolvent. The 1st Respondent is more than capable of settling its debts when they become due and payable. No evidence has been placed before the court to suggest otherwise. The Application is improperly before the court,'' reads the opposing papers. In addition, ZC said that Streak has made claims that ZC are unable to pay him what is due to him, which they challenge to be untrue since the payment to him was delayed by the dispute on what he is actually owed. "The Applicant has claimed that the 1st Respondent is unable to pay his salary. This is factually incorrect as the Applicant's salary was duly paid and is being held in the trust account of Messrs Matsikidze and Mucheche. The reason for this is that there is currently a dispute regarding the sums due and owing and the matter is before a labour officer,'' further reads the court papers filed by ZC lawyers. In his High Court application, Streak's lawyers said they were also acting on behalf of the former national team coach as well members of his technical team, Lance Klusener, Sean Bell and Wayne James. ZC, in their opposing papers state that South African, Klusener has had whatever was outstanding to him paid by the ICC while amounts owed to James and Bell are being held in trust by lawyers locally waiting to pay the duo. ZC have stated in their opposing papers that Streak was fired for failing to take Zimbabwe to the 2019 International Cricket Council World Cup via the Qualifier held in this country at the beginning of this year. "It is common knowledge the national team failed to qualify for the World Cup after a disgraceful defeat. It was as a direct result of such a poor performance that the contacts were terminated, on notice and lawfully in line with their contracts. The Applicant and other employees performed dismally therefore the 1st Respondent had no option but to terminate their contracts,'' reads the papers. The matter is still to be heard in court.